The Huguenots were French Protestant followers of John Calvin in the 16th and 17th centuries. After many decades of heavy persecution, they were finally granted tolerance by King Henry IV in 1598 in his Edict of Nantes. That tolerance ended in 1685 when King Louis XIV in his Edict of Fontainbleau revoked the Edict of Nantes. Tens of thousands of Huguenots fled France, many immigrating to America, especially to Charles Towne (Charleston), South Carolina. The family of Daniel Trezevant (with its Celtic/Cornish name) became early settlers near Charleston in 1685. The subsequent ten generations of one branch of the Trezevant family has reflected their time and place for over three hundred years of American history. 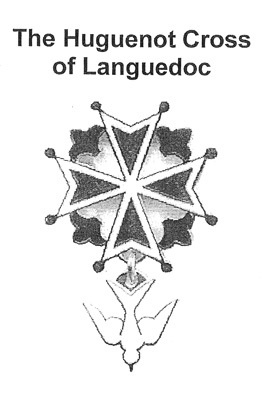 The Huguenot Cross is composed of a Maltese Cross with four arms of equal length, representing the four Gospels. Each arm becomes progressively broader as it leaves the center, symbolizing the believer’s transformation (2 Cor.3:18). The outer edge of each arm is indented in the shape of a “V” for victory through Jesus Christ. The two points at the end of each arm, eight in all, stand for the Eight Beatitudes (Matthew 5:3-10). Between the arms of the cross are four fleurs-de-lis, each with three petals symbolizing the trinity. The twelve petals of the four fleurs-de-lise represent the Twelve Apostles. The lily is also a symbol of the resurrection and the care of God (Matthew6:28). The four open spaces between the arms form four hearts, symbolizing loyalty, the love of Jesus,and the recall of His command to “Love one another.” (John 13:34). The appendage is a descending dove, the symbol of the Holy Spirit, guide and counselor of His Church. As a boy I was given a copy of the Trezevant family genealogy book published in 1914, and I immediately became interested in my direct line of ancestors. Because of the book, it was easy for me later to enter data into Ancestry.com. I focused almost exclusively on following my direct line, beginning with myself and working back in time over the previous nine generations, covering a period of over three hundred years. What has always fascinated me was the interaction of ordinary people with their place and time in history. On this site, I’ve presented their stories in chronological order. I’ve placed them in their historic sequence, from father to son as the family name was passed on. To give the recognition due to the women who took their husband’s name, I’ve included them as equals in the family story. A family name is important for record keeping, but our genealogical heritage is an equal measure of all our direct forebears. Within each generation of the Trezevant family name, I’ve sometimes broadened the scope to include brothers (or other very close relatives) about whom I had relevant information. Also, along with each generation of my Trezevant forebears, I’ve added parallel lineages of some families who were connected by marriage to ours. 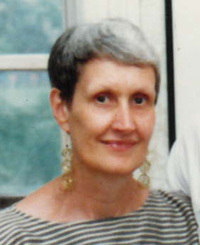 For me personally, an amazingly fortuitous connection happened when I married Katherine Gervais (1936-2004) in 1966 and subsequently learned the history of the Gervais family. It was joining her family’s history to mine that produced the motivation and format for this presentation. I created the website as a tribute to her. The biographical sketches in Trezevant Generations 1 through 5, centered in Charleston, South Carolina, are presented in a timeline format. The sketches in Generations 6 though 9 are more complete narratives because they were written as a project about the four generations of the Trezevant family who were connected to Franklin Parish, Louisiana. For the Charleston generations, I was greatly helped by Cheves Leland at the Huguenot Society of South Carolina, by Mary Jo Fairchild at the South Carolina Historical Society, and by Karen Emmons at the Historic Charleston Foundation, each of whom I was privileged to meet in Charleston in 2012. Since then I’ve also benefited from work by Virginia Ellison, Lisa Hayes, and Lauren Nivens at the South Carolina Historical Society. Several other archivists and librarians in North Carolina, South Carolina, and Georgia responded with very helpful materials. Also living in Charleston, Brittany Lavelle, M.S.H.P., was and continues to be most beneﬁcial in providing thoroughly documented materials. She can be reached at www.bvlhistoricpreservationresearch.com. It was James Peter Trezevant (1815-1860) who made the transition from Carolina to Louisiana. For information about him and his family background and for the motivation to compose his biographical sketch, I’m completely indebted to distant Georgia cousin Rick Allen, a descendant of James P. Trezevant’s older brother Charles Simmons Trezevant (1814-1870). Rick has also supplied much information about the other members of the Trezevant and Gignilliat families. For the Louisiana generations, I am deeply grateful for the connection to Dorothy Bradley, in her writings and in person. Beside being an ardent local historian, she was a great Southern lady. For her on-going interest, research, and submissions I’m very much appreciate Sara Matthews Willingham, the granddaughter of my first cousin Eula Trezevant Matthews. My brother-in-law John Gervais and sister-in-law Glynne Thomas Gervais have been most helpful with the Gervais family history. For each biographical sketch I have included many images of old family photographs and documents. Most of the originals were in my own collection, which I donated to the Louisiana State Museum in New Orleans. The other originals were from the 1903 photo album donated to the Museum by George Montgomery. Several other family members contributed various digital versions of family photos. We owe a debt of gratitude to Tony Lewis, Curator of Visual Arts, at the Louisiana State Museum for accepting my donation of the Antrobus portraits of James Peter Trezevant and his wife Mary, along with the two collections of vintage photographs. The Museum also accepted the Trezevant-Vick and Vick-T.D.Trezevant family Bibles. I am very grateful to Kay LaFrance of the Winnsboro [Louisiana] Economic Development Foundation and Winnsboro Main Street project for accepting memorabilia from the four generations of the Trezevant family who lived in Franklin Parish. The items are now in the Old Post Office Museum in Winnsboro. I would appreciate suggestions for additions and corrections. I’m grateful for editorial advice from Mary McVicker, for proof-reading by cousin Bill Channault, and for website design by Richard Gricius and maintenance by Beth Bannor. Beyond that, I take responsibility for the presentation and correctness of all the entries. My hope is that other members of the extended Trezevant and interested historians will ﬁnd these stories informative and helpful. Charnock, Richard S., Ph.D.Db. Patronymica Cornu-Britannica. London: Longmans, Green, Reader, and Dyex, 1870. p. 149. I am eager to read this site as I am familiar with your work. It is always thorough and presented well. I remember vague stories my father told me decades ago of life around Delhi. One day my wife and I will take a grand tour of the area, perhaps guided by your work! My family is noted in John Timothee Trezevant’s book appendix 7.
son: William J. Harrison m.